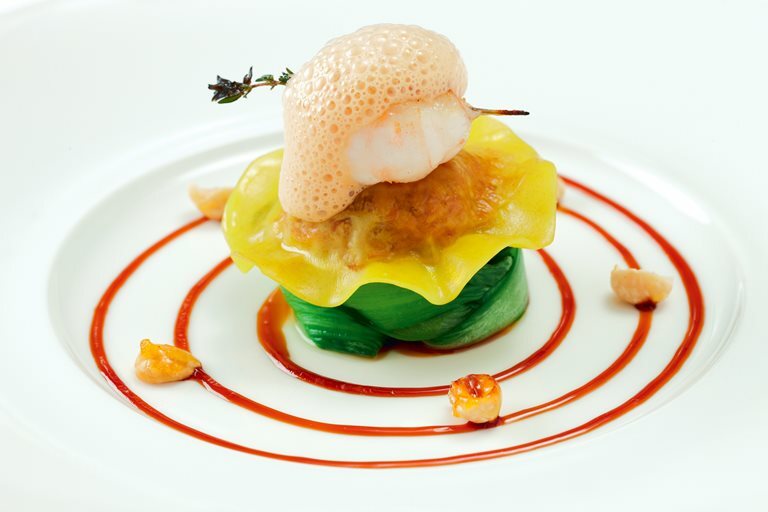 This duck ravioli recipe pairs the rich duck confit, which is enveloped in a wonton wrapper, with meaty seared langoustines and earthy spinach, resulting in a remarkable dish by Mark Jordan. This is a playful posh take on ‘surf and turf’. Allow plenty of time to cure the duck legs and confit them before you start on the rest of the components.